Saucony is one of the leaders of high-performing running shoes that can meet a variety of runners’ needs. With several lines of running shoes to choose from, it can be difficult to narrow your options to the perfect pair. Good running shoes should offer support, good cushioning, and be comfortable on your feet. Long-distance runners especially need a shoe with excellent comfort and durability to keep up with high mileage runs. They have also been leading the way in running shoe technology with their ISO Lacing system and EVERUN responsive foam. ISO Lacing offers a snug, secure fit that gently wraps your foot for a sock-like fit. It’s a comfortable and secure fit – and Saucony is the only brand offering this feature. EVERUN foam is similar to Adidas’ Boost foam and Brooks’ DNA AMP foam. It does three things to the shoe: 1) it is more durable than other foam – this means it will last longer than other shoes. It also means your shoes will feel better than other shoes at the end of a long run. 2) EVERUN also provides more energy return than other shoes, giving you a more responsive, efficient ride. 3) Finally, EVERUN maintains the same level of cushioning regardless of temperature changes. While traditional running shoes get rock hard in cold weather and mushy in the heat, EVERUN stays consistent throughout. Saucony offers several running shoe models that can potentially be the perfect fit for your next run. 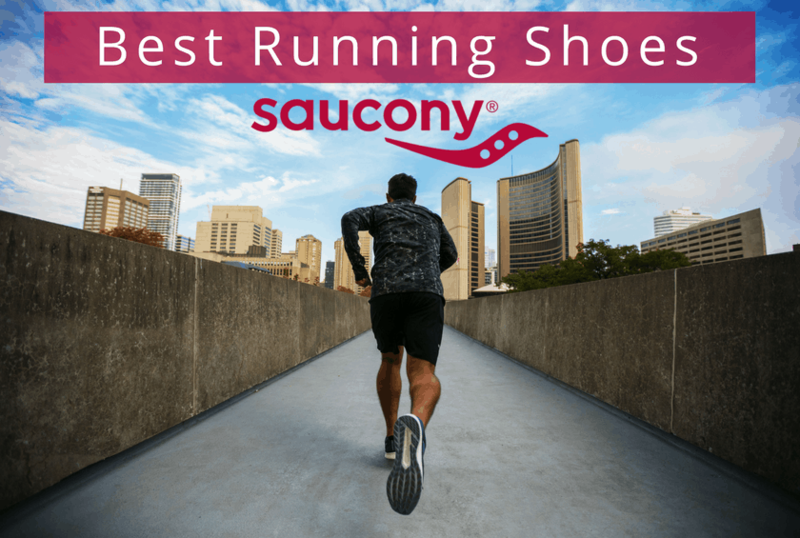 Our guide reviews ten of the most popular Saucony running shoes based on customer reviews, design, and comfort that can improve your runs. Your personal preference will depend on your foot shape, comfort needs, and where and how far you run. 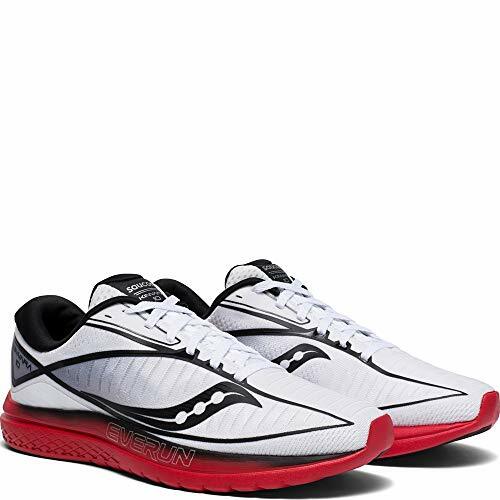 The Saucony Freedom ISO 2 is the company’s first running shoe with full-length EVERUN midsole. EVERUN foam provides cushioning throughout the foot and evenly distributed shock absorption. It’s bouncier than traditional EVA foam and provides more energy back from every step. This shoe also offers one of Saucony’s sleekest designs with several color options. From neutral to brightly-colored, you’ll likely find a look you love in Men’s or Women’s styles. The outsole construction of this shoe is one of Saucony’s most durable, despite its light weight and thin feel. The shoe conforms to your foot, which helps it feel comfortable longer. The Saucony Triumph ISO 5 stands out from its predecessors in a few ways. 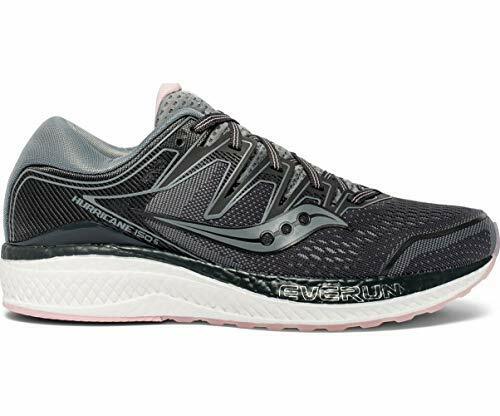 First, Saucony updated this version to provide more flex for comfort and responsiveness while still leaving its supportive construction intact. Rather than uncomfortable posts and supports, you’ll get most of your stability from ISOFIT technology, which adapts the shoe to your foot shape. The Triumph ISO 5 is also one of the best shoes for a responsive bounce. You’ll likely have a more comfortable takeoff and move with more comfort throughout your run than with other shoes. TRI-FLEX technology disperses shock absorption throughout the shoe for a better energy return on every movement. 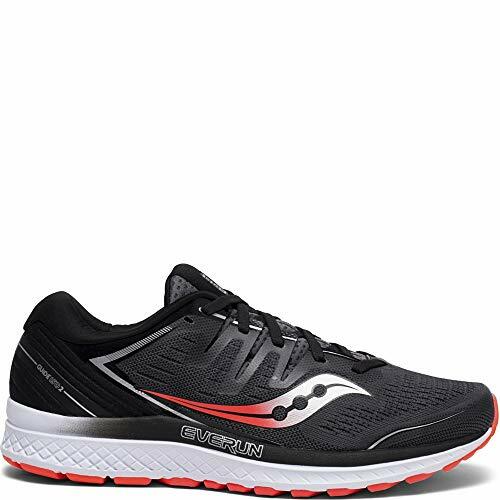 The Saucony Ride ISO is one of the best running shoes from Saucony. It works well for long runs, races, and speed work. If you haven’t yet found a shoe that doesn’t leave you feeling sore and fatigued after running long distances, this model might be for you. The Ride ISOs add two big features to Saucony’s signature running shoes. First, ISO lacing has been added for secure, but comfortable fit. Second, the Ride ISO is the first shoe ever made with a FORMFIT topsole. Rather than have a flat top sole, the Ride ISO has a contoured design that conforms to the shape of your foot. It provides a comfortable and unique fit not found on any other running shoe. The Ride ISO also has excellent cushioning while still offering a responsive and snappy ride. It’s best for runners with a neutral stride and medium to high arches. 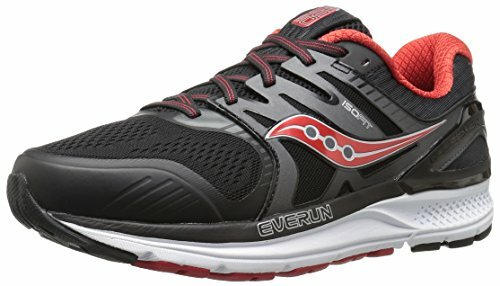 Add in the EVERUN topsole, and you’ll find yourself in one of the most energy-enhancing running shoes made by Saucony. The Hurricane ISO line is one of Saucony’s most popular, targeting high-level energy return combined with excellent comfort and tons of support. The Hurricane ISO 5 is no exception, offering a plush, supportive ride for runners who overpronate. One of the improvements is in its shock absorbing abilities, thanks to an improved midsole from EVERUN technology. EVERUN helps disperse shock efficiently so that every move you take helps you on your return with a bit of added bounce. 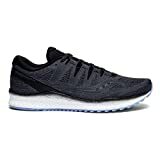 This model also is a bit lighter and more breathable than the other versions and gives you some more flexibility for a comfortable, secure, and stable run. 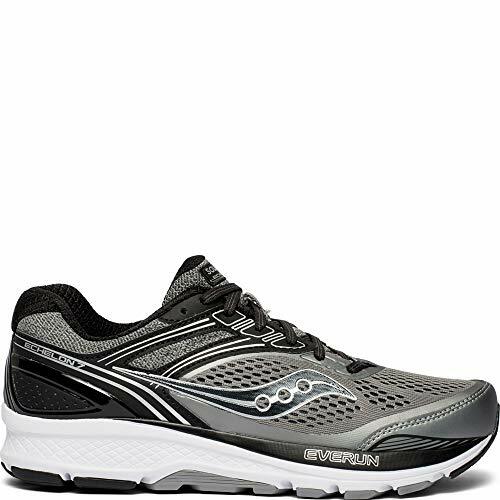 Saucony Echelon is a line that works well for runners and walkers who want a supportive, cushioned shoe. The Echelon 7 brings more cushioned and roomier fit than previous models with a topsole of EVERUN foam for added durability. This shoe has some extra space in it for people with wide feet or who need to wear orthotic soles in their shoes. However, because of the plush sockliner, you’ll still have a conforming fit that keeps your feet and ankles stable during your ride. The Echelon 7’s external heel support gently cradles the heel to keep it in the ideal position and reduce movement and rolling, making these shoes a good fit for overpronators and runners who suffer from pain associated with plantar fasciitis. The Saucony Guide ISO 2 is one of Saucony’s best selling running shoes. It provides a stable ride with enough cushioning and support to prevent injury and pain. You’ll likely notice the excellent stability in this shoe in every area, from the supporting midsole to the cradling heel. One of the most notable features about this shoe is its FLEXFILM material used throughout the shoe and then attached to the upper, giving it a robust support system without overloading it with extra material and making it bulky. Saucony also updated the upper of this shoe over previous Guides, giving it the same ISOFIT technology it uses in many of its other more recent running shoes. ISOFIT makes the Guide ISO 2 breathable and form-fitting giving the shoe a sock-like fit. The Saucony Kinvara 10 is one of Saucony’s most beloved running shoes. This tenth-anniversary model enhances the Kinvara line with added EVERUN cushioning. A sleeker, more lightweight upper provides excellent flexibility while you run. And it’s available in the original Kinvara colors. 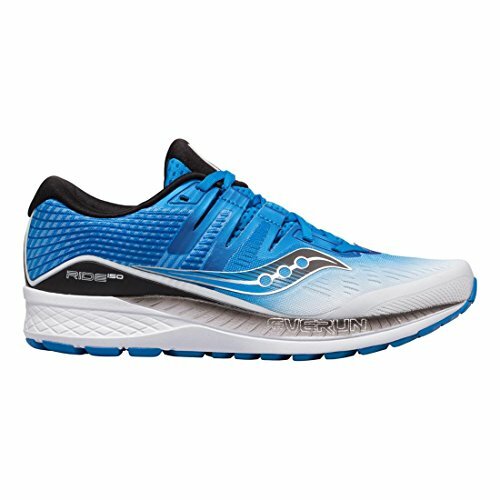 The Kinvara 10 has a smooth, comfortable ride that utilizes FLEXFILM technology, which adapts to your foot shape and movements. The responsive design lets your feet do everything you want them to as you run. They are extremely lightweight making them ideal for short races or speed work. You’ll also get more natural movement with the 4mm offset from heel-to-toe. The slight raised heel provides just enough lift for heel strikers while still allowing runners who land on their midfoot to run with proper form. Dirt and trail running is no match for the Saucony Peregrine ISO, one of the toughest running shoes the company makes to meet the needs of adventurous runners. 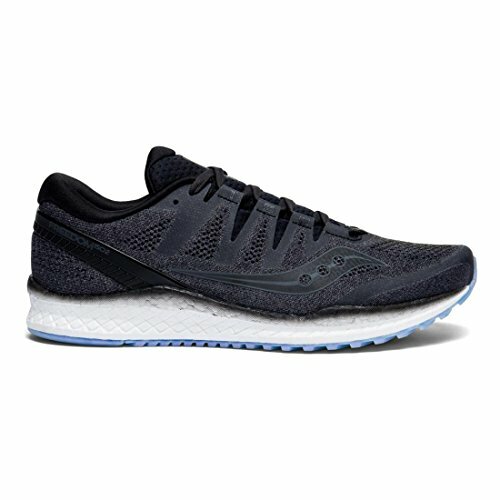 Not only does this shoe provide supreme traction on various surfaces with PWRTRAC outsole construction, but it also has Saucony’s RunAnyWhere design, making it one of the most rugged running shoes from the company. Saucony adds beneficial features for trail runners, like a rubber toe tip to prevent injury from objects on the trail and RUNDRY collar lining that dries moisture quickly to prevent it from seeping inside the shoe. New in this version is ISO lacing. This allows for a customized fit that cradles the fit. Some may find it too loose for trail, but it is comfortable. Also new for the first time is a wide version of the Peregrine. You’ll also get some excellent support from these shoes that can lead to extra stability on uneven surfaces. A cradling heel keeps your foot in the best position for comfort safety, while the external skeleton design form-fits the foot for a snug-fitting frame. 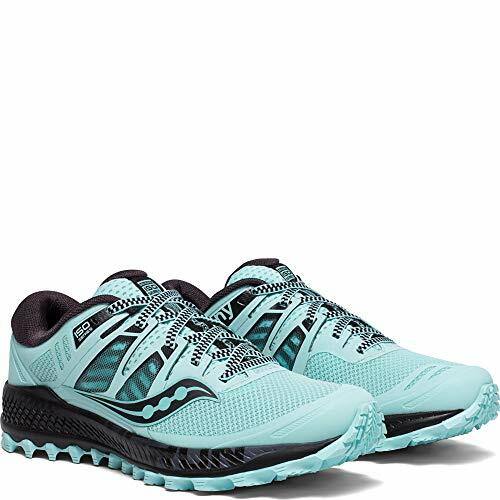 If you have a problem with overpronation or pain from flat feet, the Saucony Redeemer ISO 2 may be your best option for Saucony running shoes. This shoe offers superb cushioning throughout the underfoot to absorb the impact of your run and give your heel, arch, and toe area much-needed support to prevent pain and injury. This is also one of the most flexible shoes you’ll find for its incredible amount of support, which can often leave shoes feeling stiff and unresponsive. Thanks to the ISOFIT and TRI-FLEX technology, the shoe moves with your foot for a more natural takeoff and ride. Saucony’s Endorphin Racer 2 is, perhaps, the running shoe with the sleekest style. At first glance, this model looks nothing like the others, with its streamlined, flatter style and smooth lines. But, you’ll probably find that its performance is virtually unmatchable for a track and field shoe. The Endorphin Racer 2 is one of the lightest running shoes around, but its design managers to give it incredible levels of energy return, comfort, and traction. The Endorphin Racer 2 also benefits from a PWRTRAC sole, which reduces abrasion on the track and road and grips the surface.